9mm 124 grain Defense Hollow point- Easily one of the most popular categories of handguns for Defense concealed carry — if not the most popular — is the 9mm single stack. It makes a lot of sense: It’s light, slim, easy to control, is quicker to reload than a .38 snub nose, and offers more punch than a comparatively sized .380 pocket pistol. 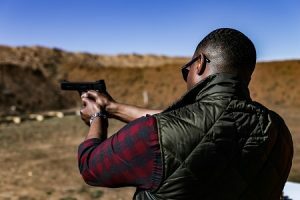 Self-defense is crucial for anyone and this is the reason you find many people today having a licensed firearm with them. They can always take action when the time comes to defend themselves. 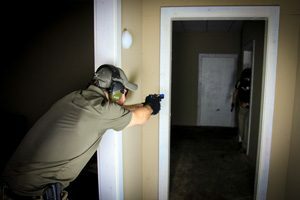 The rule about having such a gun is that it has to be concealed and many find the 9mm to be the ideal for these reasons. Our NEW Hybrid Hollow Point is a bonded copper plated bullet with a swaged lead core. The Hybrid design was created by merging two developmental HP design ideas. The Hybrid Hollow Point penetrates 11″ to 13″ in gelatin with excellent accuracy and a minimum of 98% weight retention. Checkout the expansion on the photo below! 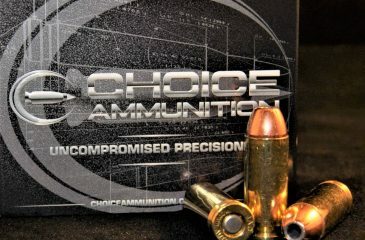 Choice Ammunition offers this 124 grain round in a plated target hollow point as well. See our “Range Time & Real Time” Combo Paks to put the two together and have identically performing (velocities AND point of impact) range and defense ammo. Why practice with ammo that does not have the same performance as critical Defense/Hunting rounds? Our NEW Hybrid Hollow Point is a bonded copper plated bullet with a swaged lead core. The Hybrid design was created by merging two developmental HP design ideas.The Hybrid Hollow Point penetrates 11″ to 13″ in gelatin with excellent accuracy and a minimum of 98% weight retention. Checkout the expansion on the photo below! 9mm 124 grain plated target hollow point- Easily one of the most popular categories of handguns for concealed carry — if not the most popular — is the 9mm single stack. These high-performance plated rounds provide excellent reliability, consistency and accuracy for Range and Practice time for this caliber. While not the least expensive 9mm ammunition on the market, our tight loading tolerances, visual inspection and premium performance sets our products apart from other import and “factory” loaded ammunition! 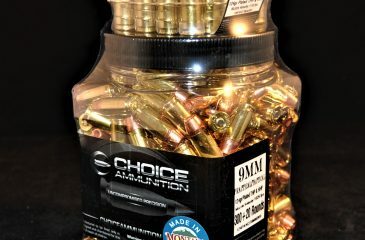 For a few cents more, make every shot count with 100% Hand-Loaded Choice Ammunition! We take every single round seriously. This is why even our inexpensive target rounds are 100% hand-loaded with the same reliability and consistency as our Big Game or Defense Ammunition. Our target ammunition also can be complemented with identically matched defense rounds through our “Range Time & Real Time” combo packs, where we offer the same velocity and more importantly- same point of impact with the range and defense ammo combo. 9mm Combination Range Ammo and Self Defense Ammo- This combination pack of Practical Range Ammunition and Tactical Self-Defense Ammunition is the perfect mating of “Trigger Time” and “Business Time”. Both the Range ammunition and the Defense Ammunition were paired and developed to perform exactly the same, both in feel and most importantly, in point of aim/point of impact. So if the time ever comes, there will be no surprises. A great purchase for those sharpening skills, or who are working on their CCW. A great gift idea as well!! 300 rounds of Hollow Point Range Ammo. We take every single round seriously. This is why even our inexpensive target rounds are 100% hand-loaded with the same reliability and consistency as our Defense Ammunition. 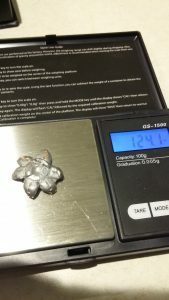 20 rounds of Defense Hollow Points. Our Defense Hollow Point is a bonded copper plated bullet with a swaged lead core. The Hybrid design was created by merging two developmental HP design ideas. The Defense Hollow Point penetrates 11″ to 13″ in gelatin with excellent accuracy and a minimum of 98% weight retention.